This page only lists UCT Student Administrative Forms currently administered by the Content Architecture team (Systems Division). 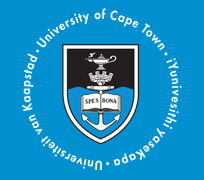 For UCT Administrative Forms, use the navigation bar above or see: UCT Administrative Forms. All forms available on this web page are for UCT student use only. All forms are owned by their respective Organisational Entities. or choose Edit > Find (or CTRL+F) to locate the form you need. ACA07 Senate fee waiver for enriched curriculum undergraduate students Used when applying for a fee waiver from Senate for enriched curriculum undergraduate students. ACA08 Cancellation of Registration To cancel your registration entirely (not to change your curriculum). ACA09 Application for Change of Curriculum To add and/or drop a course, to change your academic programme and/or plan. ACA42 Unregistered local student request for grace period to attend classes while fee block applies This form must be completed by unregistered local students applying for a grace period to attend classes while fee block applies. ACA44 Deferred Examination Application Form When a student wishes to apply to defer their examinations due to illness or other good cause. ACA44a Confidential Medical Report When a student wishes to apply to defer their examinations due to illness or other medical reason. Note: This form should be submitted together with the ACA44: Deferred Examination Application Form. ACA44b Course without DP requirements To be completed only in the case of courses for which there are no DP requirements. ACA47a Memorandum of Understanding (MOU) This MOU should be completed by postgraduate students and their supervisor(s) when the student registers for the first time foreither their Master's or Doctoral degrees. ACA47b Abridged Memorandum of Understanding (MOU) The abridged MOU should be completed by postgraduate students registering for the first time for either their Master's or Doctoral degree if they have not yet finalised their research topic. These students should complete the full MOU (ACA47a) within 6 months of registration, once their research proposal has been finalised. ACA48 Progress And Planned Activity Report (PPA) This PPA must be completed for each subsequent year as a precondition for registration. The purpose of this annual PPA is to report on progress made in the past year, and to update any agreements in the MOU that may require revision. DE001 This form has been renamed ACA44b - Supplementary Information for Application for the Deferred Examination. EBE05b Student Information and Consent for Outdoor / Off-campus Activity This form is currently under review. FEE02 M65 Credit Transfer To pay UCT fees via bank deposit. FEE06 Application for Pipeline Fee Relief 2007 To apply for pipeline relief. FE7E0 This form has been removed. FEE08 Credit Card Form To pay UCT fees by Credit Card. FEE010 This form has been removed. FEE011 This form has been removed. © University of Cape Town 2015. All rights reserved.